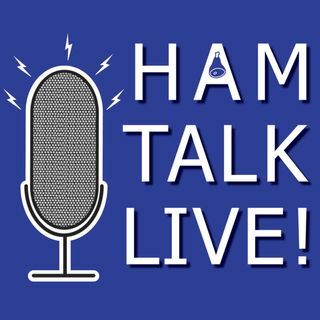 Episode 124 - NASA On the Air Update | Ham Talk Live! Back at the usual time tonight, our guests are from NASA on the Air! Dr. Rob Suggs, KB5EZ, from Marshall Space Flight Center; Mike Logan, KM4WUO from Langley Research Center; and Tanner Jones, W9TWJ and Ken Ransom, N5VHO from Johnson Space Center will give us an update on how the year long special event is going, and how it's going to really ramp up soon with the Apollo 11 anniversary. These guys will take your calls and answer your questions live on the show! Be sure to CALL in with ... See More your questions and comments by calling 812-NET-HAM-1 live during the call-in segment of the show, or by Skype. Our username is hamtalklive. You can also tweet your questions before or during the show to @HamTalkLive. Any update on when the radios will be fixed on the ISS?